Are you planning a road trip any time soon? 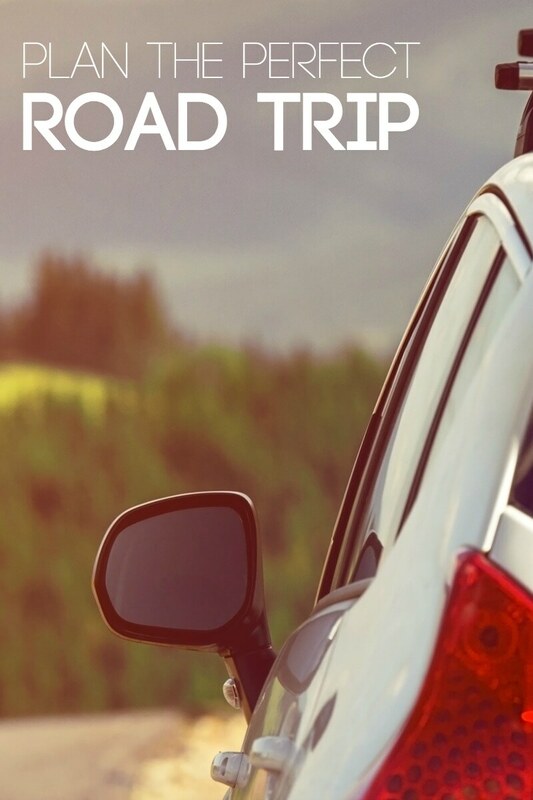 As many of you know, we are hoping to take an epic summer road trip so we are planning and preparing with an Ultimate Guide to Road Tripping with the help of some of my favorite people. Today Amy, from the Umbrella Tree Cafe, is going to share her simple tips for a successful family road trip. 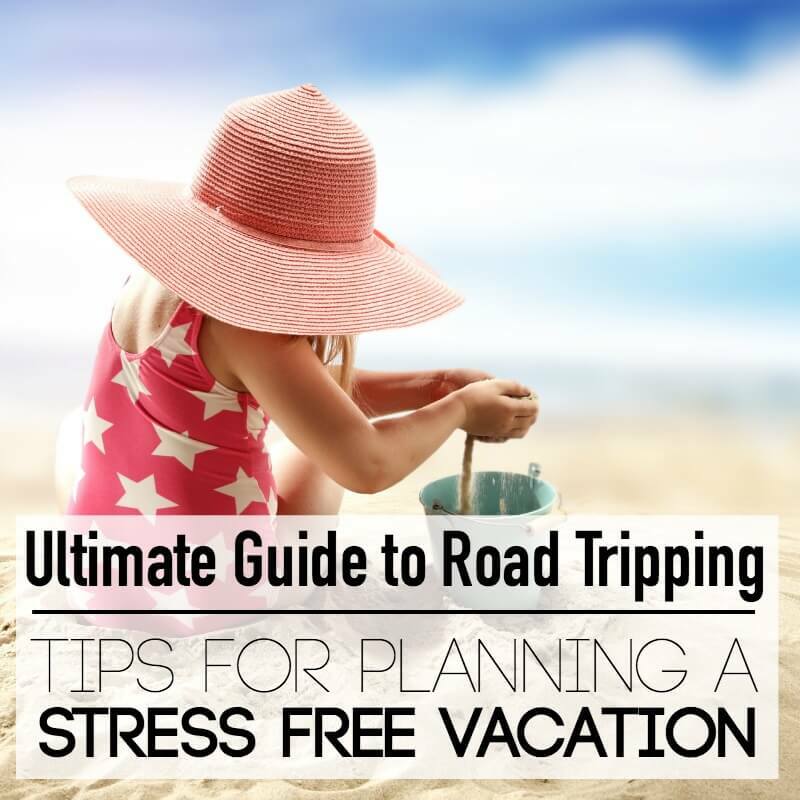 While the thought of being stuck in a car with your entire family for a few hours straight might induce a little anxiety, it doesn’t have to be stressful. 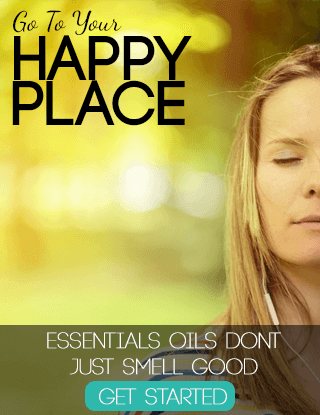 I’ve always loved a good road trip and over the years I’ve found a few simple tips that help make the experience more enjoyable than stressful. 1. Pack plenty of snacks and drinks in individual portions. Nothing slows down a road trip more than multiple stops. Having snacks and drinks prepped ahead of time cuts down on the need to stop as well as the costs associated with buying food on the road. You can buy snacks in bulk and then separate them into easy serving sizes so there’s no squabbling over sharing. This Gorp Recipe is our favorite for road trips and family hikes. 2. Make busy bags and a magnetic chalkboard activity tray- but don’t go overboard. It’s really easy to turn an old cookie sheet into a magnetic chalkboard tray that kids can use for learning on the road. You can draw a road or train track on it for toy cars, practice matching ABC’s, or make your own tanagram puzzles. There are so many possibilities. But don’t go overboard and stress about packing a ton of activities with small parts. 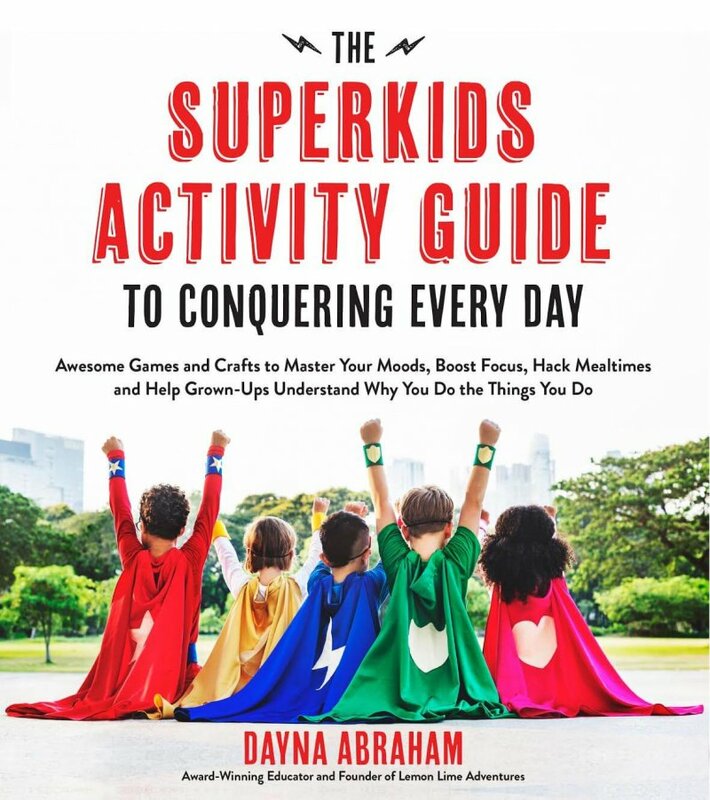 Try to choose multiple activities that can be done with one or two toys that the kids enjoy. Busy bags and activities are a great way to keep kids unplugged, but for a change of pace, try these games I remember from my own childhood that require zero supplies. Count the cows- this game is simple. Count the cows in the fields on your side of the road. If you pass a graveyard, your cows die and you have to start over. You can end the game either when one person gets to a certain number of cows, when you get to your destination, or when you get tired of playing. Abc game- take turns finding letters on road signs on your side of the road. You must go in order. 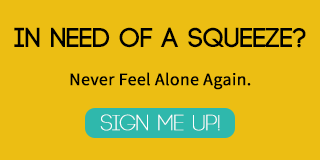 Quaker Meeting (aka the quiet game) – I’m not sure if my mom made this up to get a little peace- but the object of the game is to see who can stay quiet the longest. Rhyming- Sometimes we just take turns rhyming and see how many we can come up with in a row. Or make up new silly lyrics to our favorite songs. No need to plan activities and busy bags to fill every second. The beauty of a road trip is the opportunity for conversation. Take advantage of the time to find out what’s on your children’s minds. Ask about their favorite things or give them hypothetical situations. If you visited an attraction, talk about what you enjoyed and learned there. Or tell them stories about your own childhood. If you still need ideas try these conversation starters. You can find all sorts of information online before your trip. That makes it easy to scope out the best rest stops or look for fast food restaurants that have a play area along your route. You can even find the most inexpensive gas with the Gas Buddy app. Nothing is more frustrating than filling up the tank and then finding it cheaper at the next exit. Also, if you’re traveling for long distances, take turns driving or assign roles and make sure the “navigator” also stays awake to entertain the kids and talk to the driver. Driving while everyone else in the car is sleeping is NOT fun. Be prepared for car sickness by packing saltine crackers, Ziploc bags and paper towels and keep them within reach. Nothing is worse than a sick kid in the car. If a child feels sick they can use the bag, wipe up their face with the paper towel and conveniently dispose of the entire mess at the next trash can keeping your vehicle clean. If you’re potty training, bring your own potty and plenty of extra pull-ups and wipes. Get the whole family involved in choosing favorites and make a mix you can play when you lose your favorite station or you’ve been driving so long that the popular songs start repeating. This also prevents the chance you’ll be stuck listening to Kidz Bop or We Sing Silly Songs for hours and hours. 8. Keep your ride clean by disposing of trash at each stop. This one is pretty self explanatory, but trash piles up quickly on the road so it’s just easier to stay on top of cleaning it out at each stop. 9. Plan your drive time to include naps. We like to keep our kid’s sleep and meal schedules as close to “normal” as possible when traveling. Your kids have to nap anyway so why not in the car. Naps use up large blocks of time too. To make car naps more comfortable consider getting them each a small travel pillow. 10. Keep some surprises up your sleeve. Don’t give the kids all of the activities or choices at once. If they start to get restless- you’ll have a surprise treat or toy ready. Scope out a few geocaches ahead of time that coincide with your planned breaks and have a quick treasure hunt. Or if you’re traveling at night, try glow sticks. 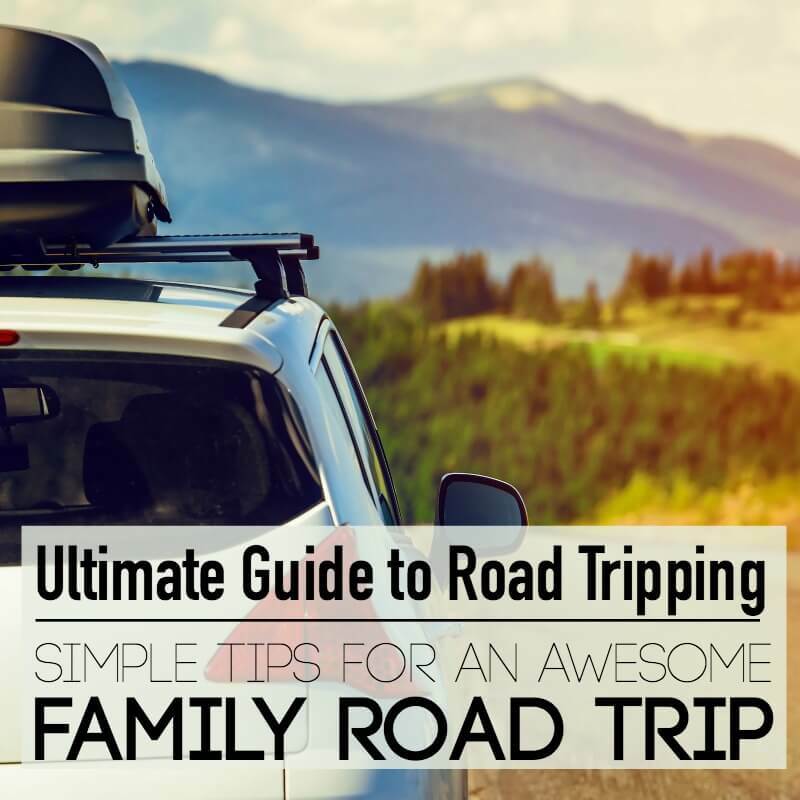 I hope these tips help you enjoy the journey and make the most of your next family road trip! Did You Miss Yesterday’s Tips in the Ultimate Guide to Road Tripping? 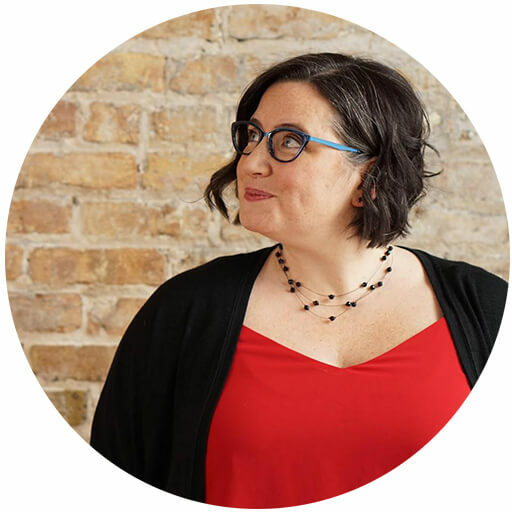 Amy Pessolano is a freelance writer and marketing consultant who encourages other parents to get out and explore the world on her blog Umbrella Tree Cafe. 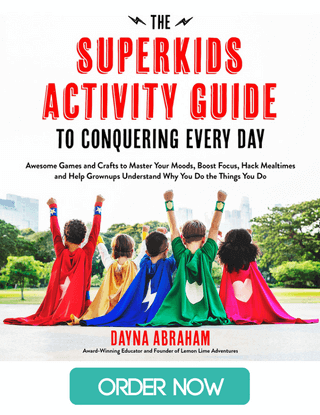 You’ll find plenty of tips for simple, creative ways, to have fun and build a strong family on the blog and social media channels Facebook, Pinterest, and Twitter. We don’t take vacations. No, scratch that… we avoid vacations. The term “vacation” should instill release, comfort, hope and so many other feelings, however in our home it is quite the opposite which is probably why we haven’t taken a family vacation since we got married. However, when the idea of traveling in an RV was mentioned, all of our ears started to perk up. Family vacation might actually be possible. Family vacation might actually be a dream come true. Now for the fun part! You can send me and my family on our dream adventure! Just for voting EACH DAY you are also included in a drawing for $500. How fun would that be to use towards anything you want? So what do you say? 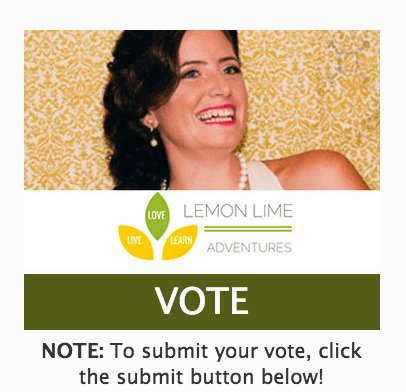 Help start our adventure and get a chance to win $500 towards your next adventure byclicking here and voting for “Lemon Lime Adventures”. Can you help me? Better yet, Why don’t you go with us! Well, virtually at least! I plan to blog about tips, strategies and adventures of traveling with a child with sensory needs. I hope to build a wonderful resource for all of us trying to figure this adventure out together! 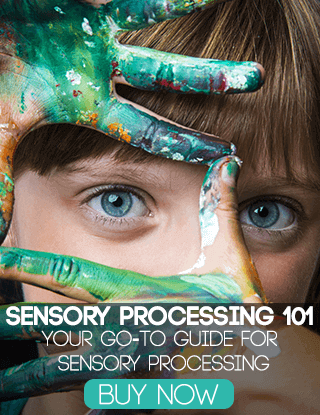 In the comments, tell me you favorite sensory friendly stop or tip along the route!